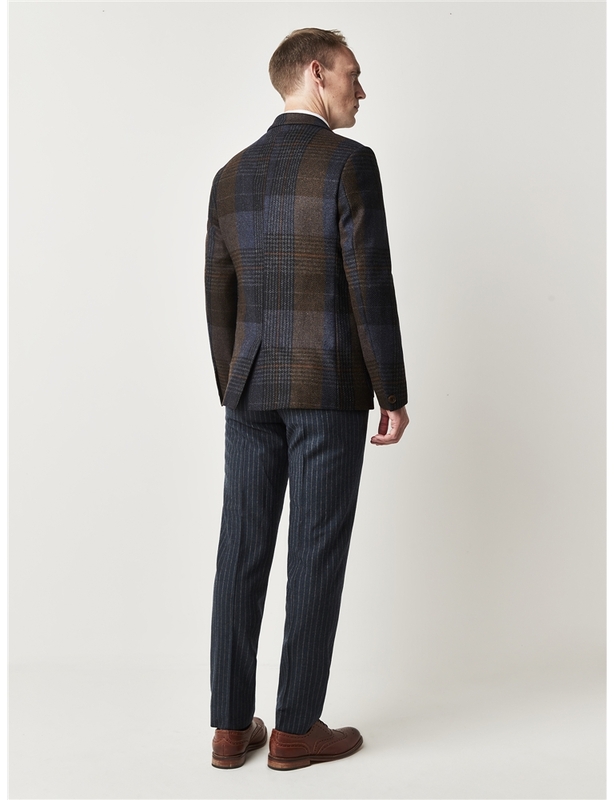 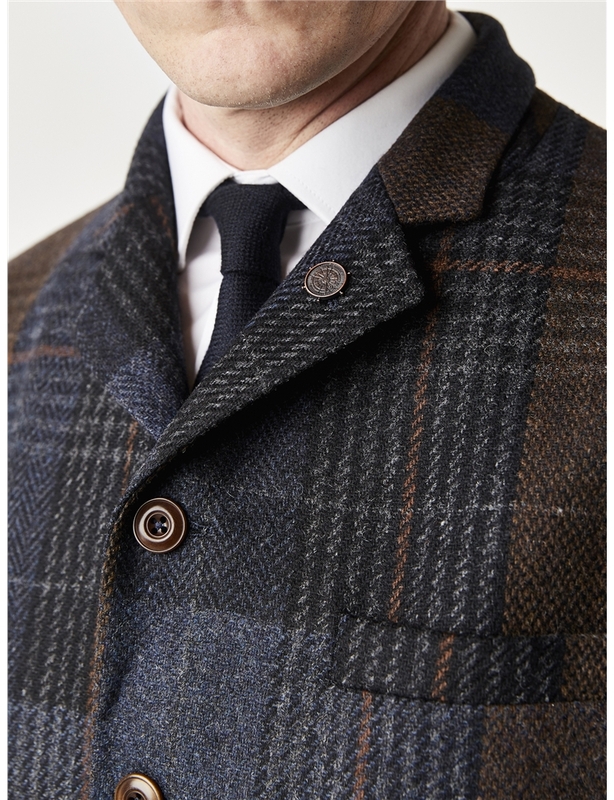 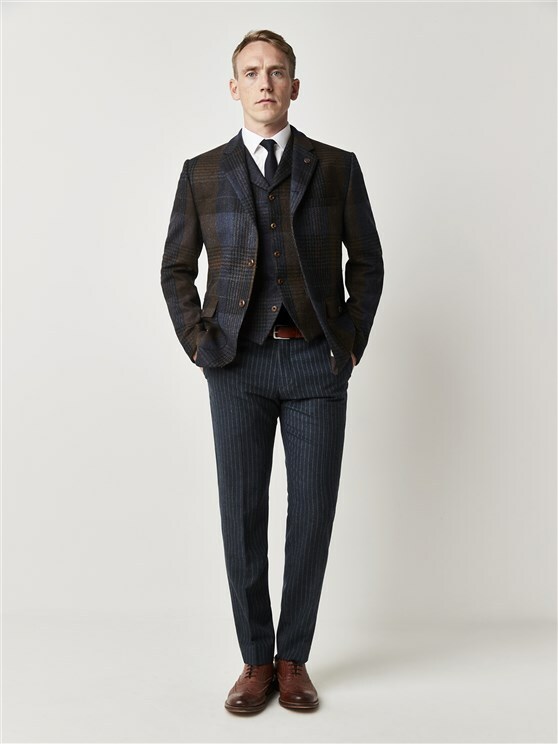 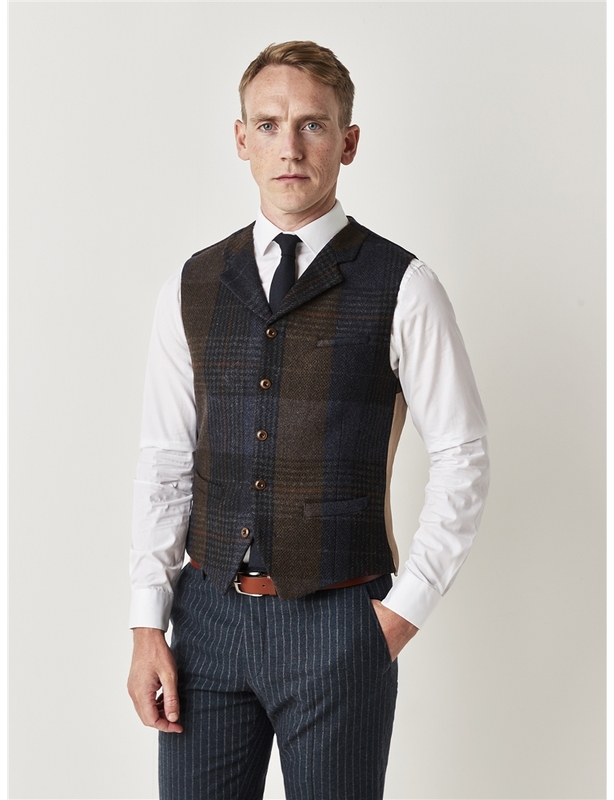 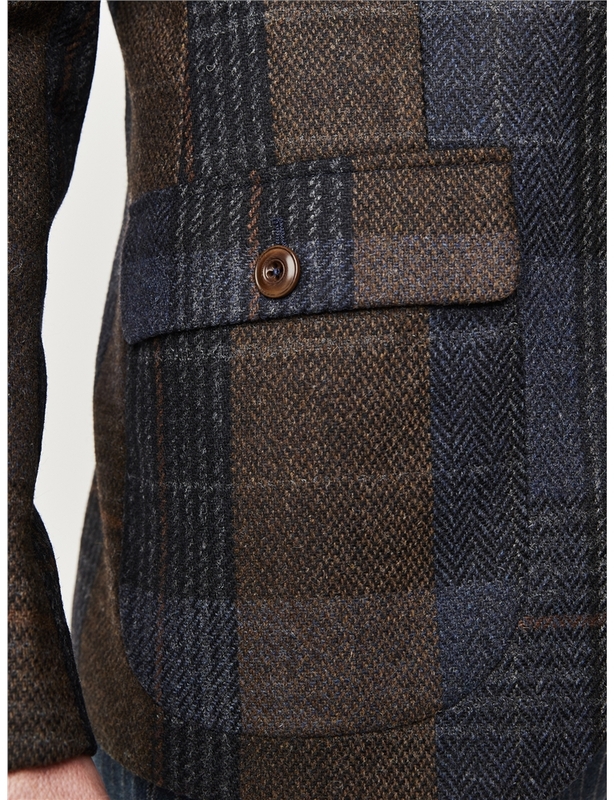 Signature Gibson London grouse style jacket in a large navy blue and brown check. 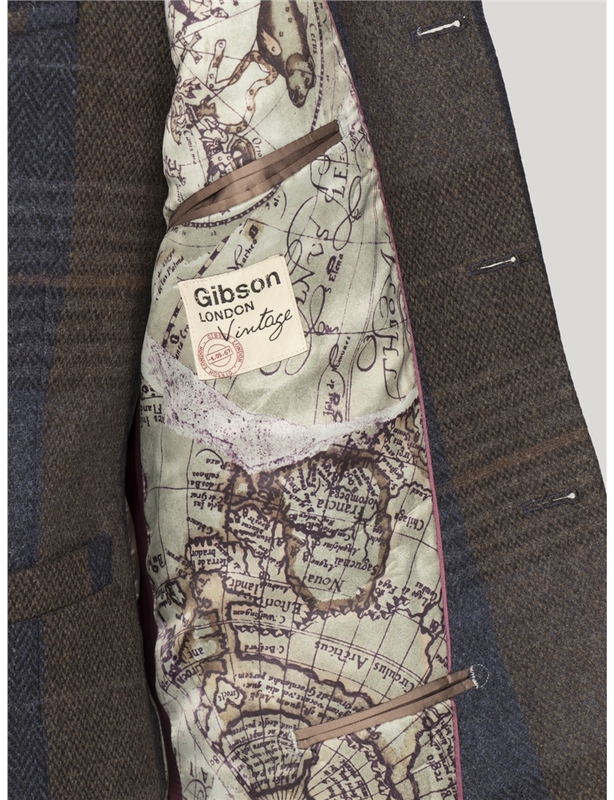 Featuring signature map printed lining and removable compass lapel pin, this jacket is cut from a large check design - meaning that every jacket will be slightly different for a unique look. 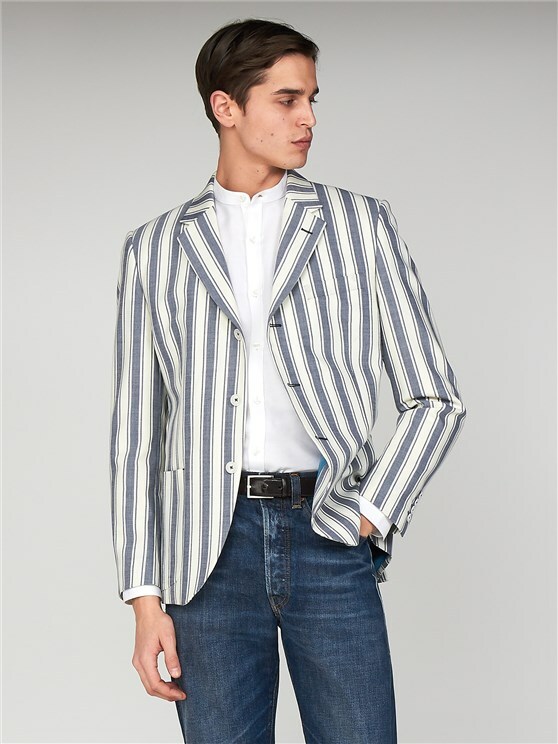 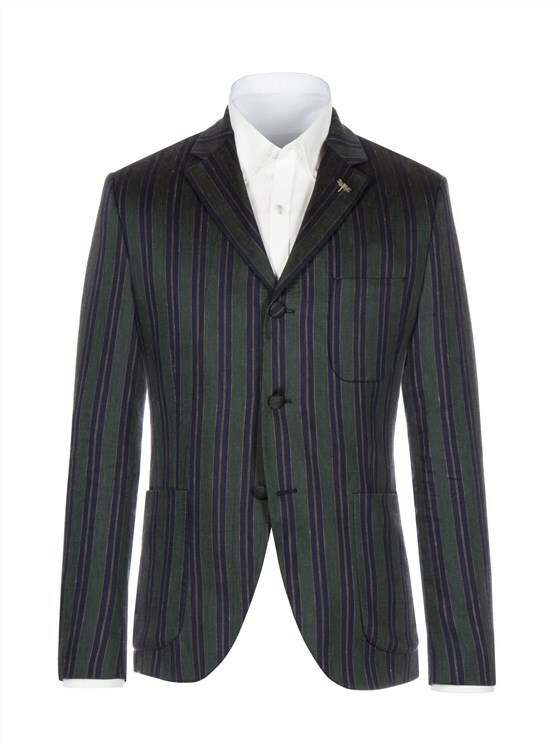 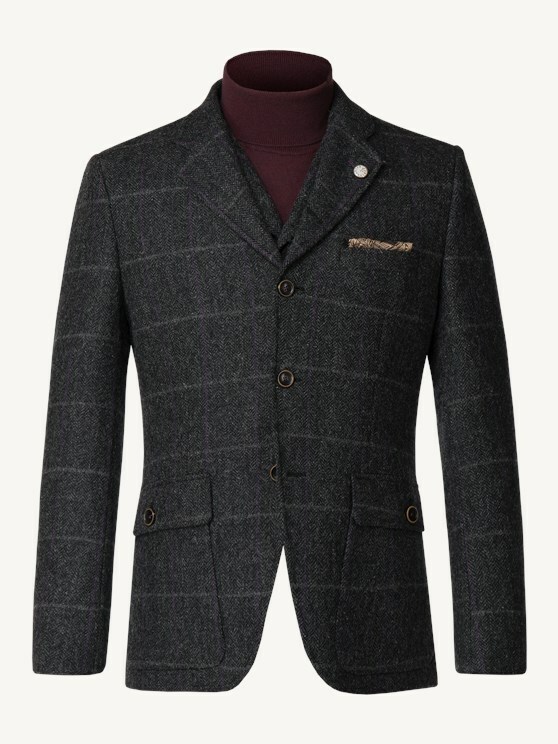 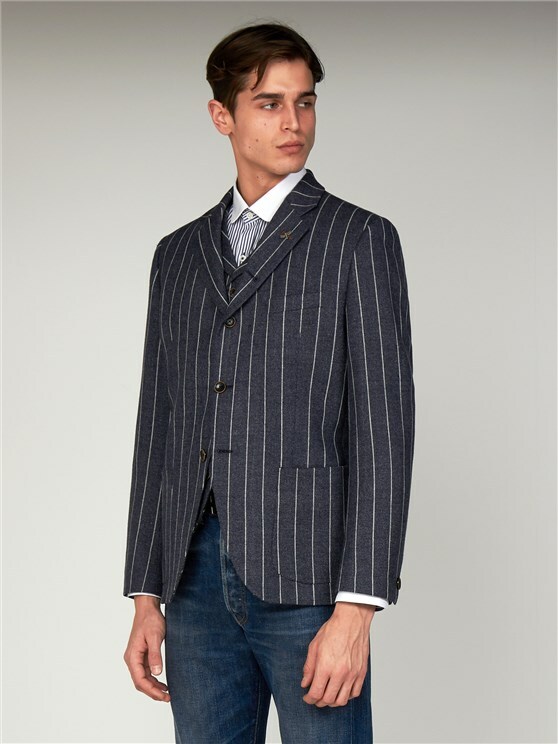 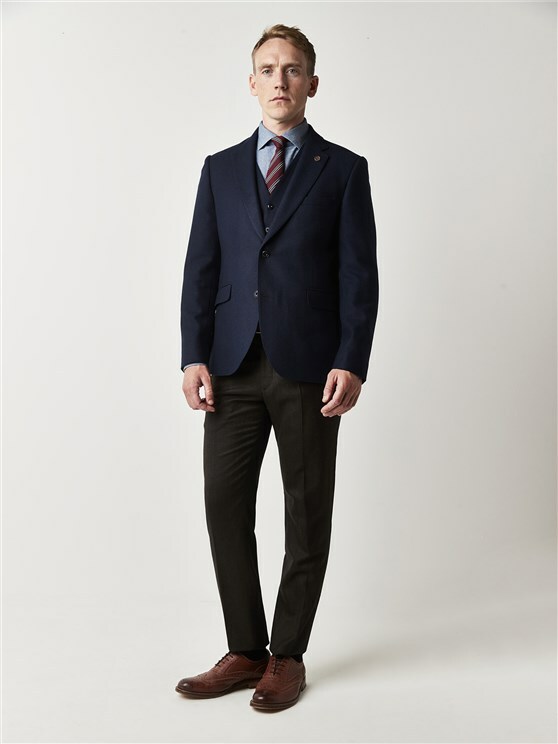 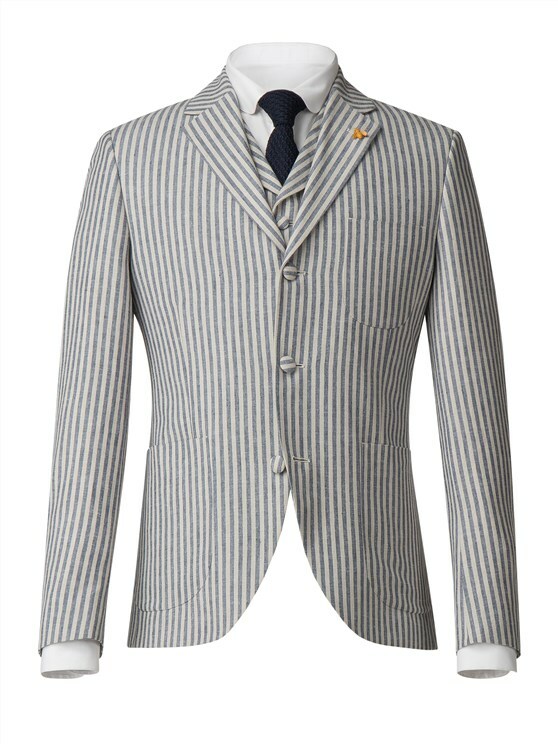 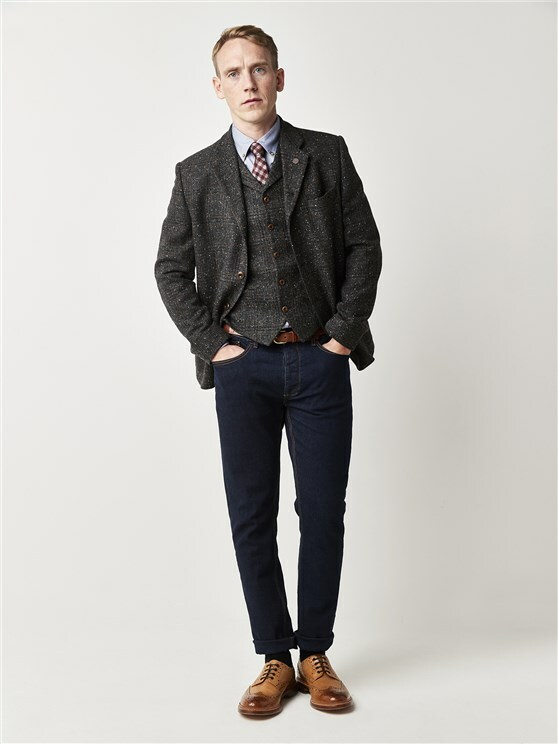 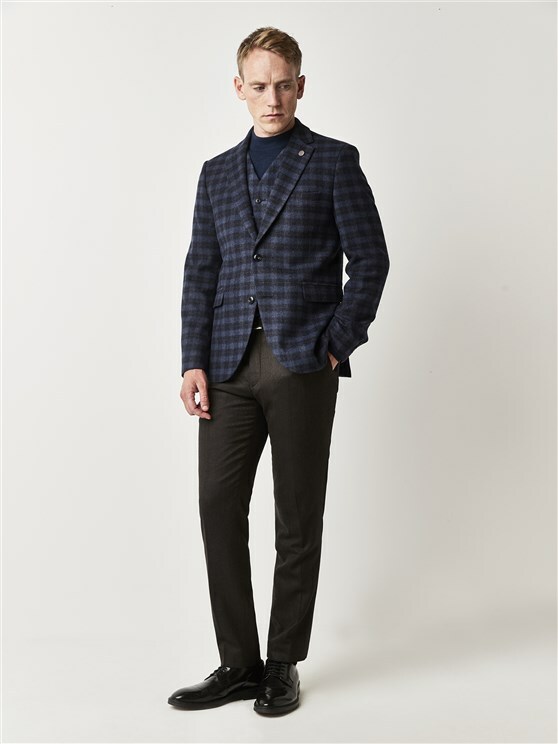 A more contemporary fit with a short body, the Grouse suit jacket style has wider shoulders at the back for extra comfort with a generous waist and tapered sleeves. 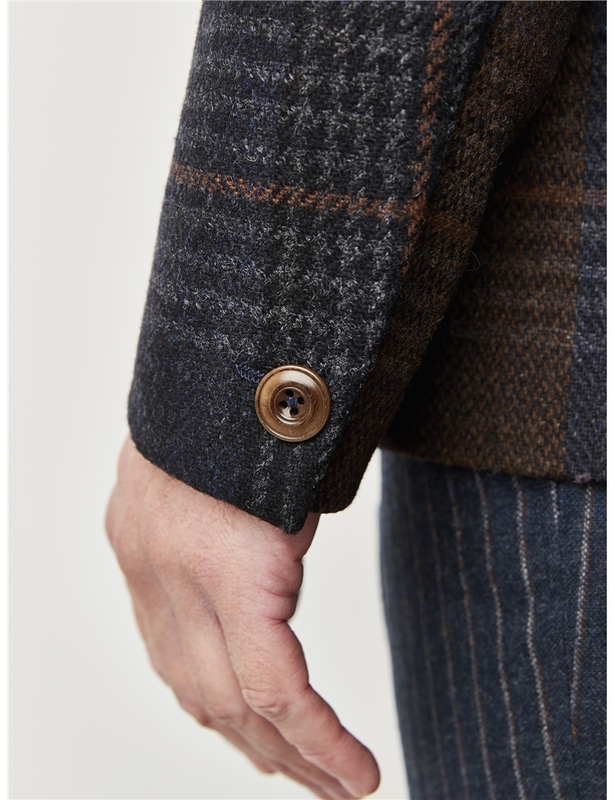 "Jacket is just right in the long size"
"Quick delivery and jacket up to expectations." 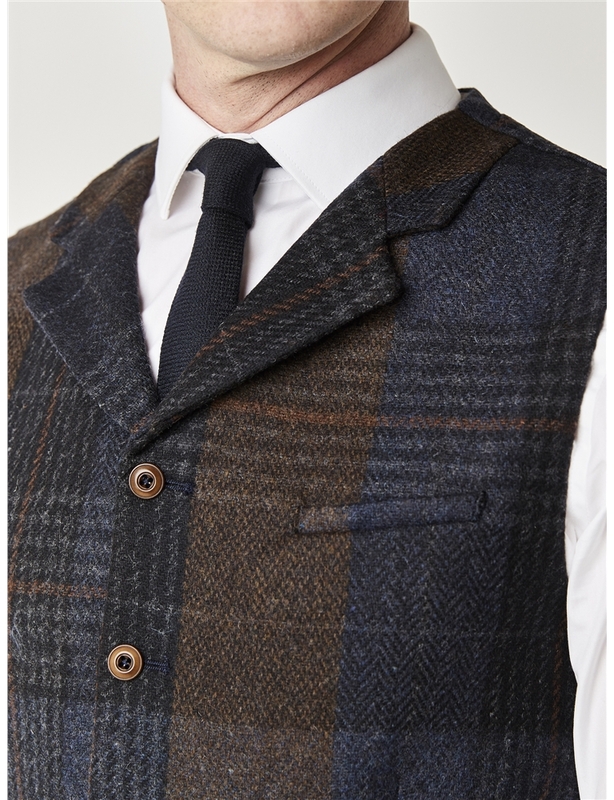 "Giacca e gilet davvero belli e originali senza essere stravaganti"